A calm mind is the centerpiece of any relaxation technique. And a quiet and calm mind is developed only through skill and practice. Because stress is automatic but relaxation is learned. Not all stress is bad. Stress is a necessary and important element of daily life. In an instant, stress can prepare the body and mind for situations that require immediate strength and action. A little stress can improve concentration and job performance. But when stress continues throughout the day or longer, it becomes chronic stress. There is no good side to chronic stress. Chronic stress suppresses the immune system, causes rapid aging, makes the body retain excess fat, dulls thinking, increases pain, is the root cause for more than 80% of illnesses today, and generally reduces quality of life. Stress is caused by fear. Stress Relief Training provides the skills and practice needed to reduce stress in the mind and body. With a few minutes of training and awareness: shoulders can drop, muscles relax and soften, breathing becomes slow deep and regular, and the mind is serene. According to Eastern spirituality, the mind is always attempting to seek pleasure and avoid pain. The mind is never at rest because this attraction and avoidance causes an unending string of thoughts. For some people, most of the thoughts are not satisfying and this lack of satisfaction causes fear and stress. Following is an easy exercise to resolve this problem. Mental images and words can slow and even stop for a short time. When this happens, the mind becomes detached from the cares and problems of the world. The body and mind relax and stress is relieved. Practiced regularly, this can make an important shift in consciousness. The following guided exercises should be read and then practiced. Each exercise should not only be understood intellectually but should be committed to practical experience. Guidance: Be fully present right now. Discard any thoughts about the past or the future that may arise. Enter your senses fully — feel the weight of your body in the chair, your feet on the floor. Notice the feel of the air on your skin. Feel yourself breathe. Be receptive to the sounds around you and sights in front of you. Guidance: Just listen to all the sounds that come to your sense of hearing. Do not move your attention from one sound to the next. Rather, listen to all the sounds together as one sound. Hold all sounds equally in your attention at the same time and do not let your attention jump from sound too sound. Guidance: Relax the muscles of your eyes so that your vision falls in front of you and slightly downward. Without moving your eyes, notice your whole field of vision from side to side and top to bottom. This is done with the eyes relaxed and motionless. Place your attention on your entire field of vision without fixating on any single object in your field of vision. Receptively experience your whole field of vision. This is a receptive practice and does not require any “doing” on your part, other than remaining receptive. Combine each of these exercises so that you are practicing all three at the same time. Continue this practice of being present, seeing, and hearing for only a minute or two. The attention working through the senses is no longer being pulled about by competing sights and sounds. As the attention slows and becomes calm, the whole mind slows and becomes calm. In this receptive state, unneeded tension is released. Muscles soften and let go. Breathing can become slow and naturally deep. This exercise delivers best results if it is practiced at least three times a day for a minute or two. Within a few days, this stress relief practice will become easier to enter and sustain. In time, the hours between each practice session will become more stress free. The desire will naturally arise to do this practice frequently, more than just three times a day. As stress is relieved, the immune system will strengthen, aging will slow, and sleep will improve. Terrific post! I would like to share with you a situation that happened to me several years ago and it pertains directly to this post. I work as a software engineer. When I came into a new company they had all these handheld programmers ready to go back to their rightful owners. I was in charge of coming up with a software “fix” for these units. I did and it came down to me programming each of these units, which I had to connect to my development computer. Each unit took about seven minutes to program and while programming, a “status” display would pop up and show the percentage of completion. “I wondered…” What would happen if I practiced “no-mind” for the seven minutes? I would just lock-in on that progress bar and watch it while bringing my mind back to just feeling the chair pressing against me when it started to drift and day-dream. I applied this to the first one and it seemed to be a good way to make the time pass quickly. There were 27 units that I wanted to get out the door that day. So I did. I did not feel any different that afternoon or that evening. That is, UNTIL I went to bed that night. I closed my eyes and Lo and Behold – My Inner Vision was a “pitch-black” screen. No swirling pastels. No gold, cobalt blue or silver. It was like an absolute black wall, that I could almost reach out and touch. It almost seemed solid. Wait – it gets better! At that point, it struck me as odd… There were no thoughts in my mind! Wow! I had to get up and experience this for real. I went to the living room and it was such a peaceful feeling and the weird part was: I DID NOT WANT TO THINK ABOUT ANYTHING. I just wanted TO BE. Honestly – it felt like I was a pair of camera eyes, just observing. Now this is the cool part. When I finally did start thinking, it was kinda like with Laser focus. It was Very Easy to stop thinking and go back to my still-no-mind. It was the absolute peace of just being The Observer ( my Higher-Self ). The Mind is meant to be used as a Tool and then put down, when you are finished using it. This might shed light on the old adage: The mind is a terrible task master, but makes for an excellent servant. This brings up something else. You can use your “blank-screen” as a real-time barometer on how your no-mind practice sessions are going during the day. If, when you go to bed at night and your screen is composed of swirling colors, your technique was of little impact, or you didn’t do it long enough. I spent around three hours total, doing the above “status bar” pop up screen sessions. I find that using a 3-minute egg timer does the same thing, watching the sand go through the hourglass. You need to find something that has just enough visual activity to get the mind to lock-in, but not generate more thoughts in your mind. Hopefully this shatters those beliefs that you need to have perfect no-mind 24-hours, a day to experience what Yogi’s and Saints have. You can do it in just a few hours. It really works. Thanks for the post. That was of much help thanks……it was a totally new experience. Heyy let me be short of comment!…thank u so much wat u wrote really simple and effective…tu again!! When i go deeper to self – and at some point when i am entering in a void stage, i am getting knocked off to consciousness, i dont know it seems like i am trying to be too conscious about the “State of Mind” . I meditate every day but rarely get into this realm, any help? thank you you have stopped me from having a nervous breakdown. the stress I was under was unbelievable. I feel lighter and more happy than I have in years. This is a great one. people can easily calm their mind…. Good post, thank you for sharing. I would like to offer one alternative idea to those you have stated. A great and simple way to reduce stress is hugging. Yes, something as simple as hugging really does wonders. We all have hugged once in a while, but stressed people should pay extra attention to that. When feeling stressed, hug somebody – it works. i fell asleep while doen the excercise.. believe me it was really relaxing especially the listening was really soothing.. I have started doing this at least twice a day. With how complicated my everyday life has become this really helps me stay focused and be able to get the job done. I used to scoff at meditation but people shouldn’t knock it till they try it. Thanks, I badly needed that. Also try the freeze frame technique developed by heartmath, it is a great tool to eliminate stress. I have a inquiry for the webmaster/admin here at http://www.awakeblogger.com. May I use some of the information from this blog post right above if I provide a link back to your site? Thank you for this post, Aaron. It’s interesting to read about the differences between stress and chronic stress. I suffer from anxiety and fear on quite a few occasions and can’t really relieve them easily. I will start carrying out these steps to free my mind. These are nothing but the techniques to attain Mindfulness. Mindfulness is being aware about the present, fogetting the past and the future. Living in the present and being mindful of every act. I make a point to take 10 to 20 minutes twice a day to clear my head and relax for a moment. I find it helps me to retain focus and move ahead when I am at a road block. It’s great to see that after all this time Scott’s website is still up and the articles are still there! Even though it’s been about 2 years since this blog post, definitely going to check out some of the reads as these days I really do need to calm and relax my mind. I am a newbie, but this first step seems to be very helpful. Thank you! For the simplified, easy, and applicable description of technique for mind relaxation . its the most simplest description i have heard yet . I like what you wrote: “The mind will never find rest through achieving more, it will only find rest through slowing and becoming quiet.” This is so true. Lack of stress, a focused mind, and happiness, are synonymous with inner peace. The more peaceful the mind becomes, the more happiness, mental mastery, and lack of stress one posseses. thank you…i’ve been looking for techniques i can do here at work while sitting at my desk. my mind seems to drift as i feel pain in any part of my body, which starts a chain reaction and then here comes the panic attack! very frustrating to cut it right in its path! Thanks so much for this post. Relieving stress in and of itself sounds wonderful. But knowing that it also strengthens the immune system, slows aging, and improves sleep is all the incentive I need. Hey, thanks for putting up this post!! The techniques appear practical, useful and easy-to-do. I may just try them myself! Evelyn Lim´s last blog post: Can You Read My Mind? Very useful and practical post. With the ability to quiet the mind, there is so much attention on the the peace of this NOW moment, all we really want. Not having to constantly strive, analyze or resist thoughts results in a lightness, a lessening of a perceived burden. Cool pic by the way! The techniques I describe here are drawn from various meditation practices that have been around for thousands of years. You both (Myrko and Brian) have picked up on the accessibility of this mind relaxation. You do not need to devote 20 minutes to meditation or play any special CD for a half-hour. You can let your mind rest for a few minutes anywhere and anytime. Thank you, my mind has been loud and busy today, I am about to practice this and calm my mind. As Myrko brings up, there are times almost every day that I would like to get away and meditate but I just can’t. This technique should be useful in those situations. Aaron, thanks for this sweet guest-post. 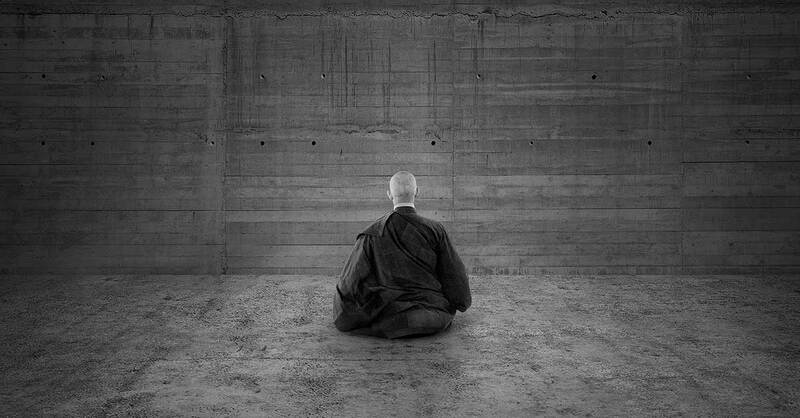 The technique seems similar to actual meditation techniques. What interests me, it seems that you could do this technique nearly anywhere. For instance even if you are in a stressful state or situation. Is this true?